The words ‘Afternoon Tea’ are music to my ears and I’ve been lucky enough to try out a fair few over the years, they never disappoint. 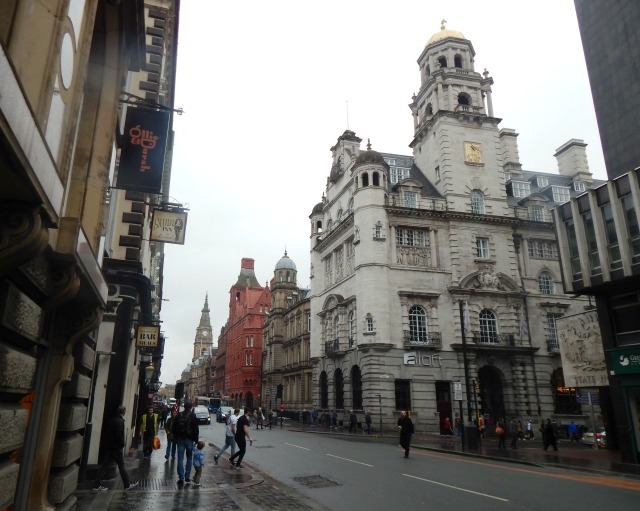 We were invited along to Marco Pierre White Steakhouse Bar & Grill in Liverpool as they not only offer the Traditional Afternoon Tea but also a Gentlemen’s Afternoon Tea and a Children’s Afternoon Tea. 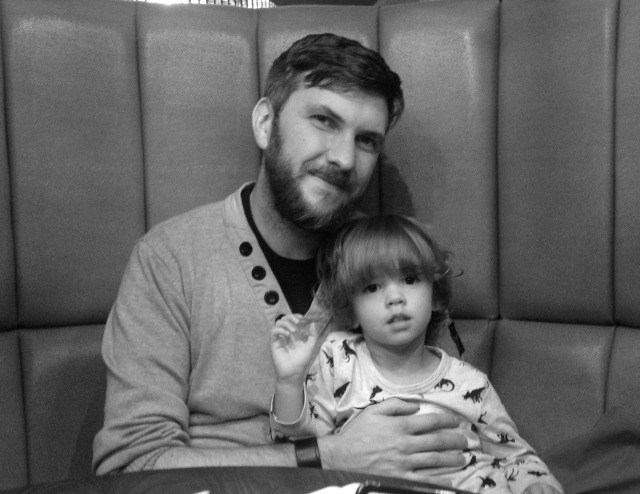 I love the idea of being able to go for an afternoon tea as a family so I was eager to try it out. 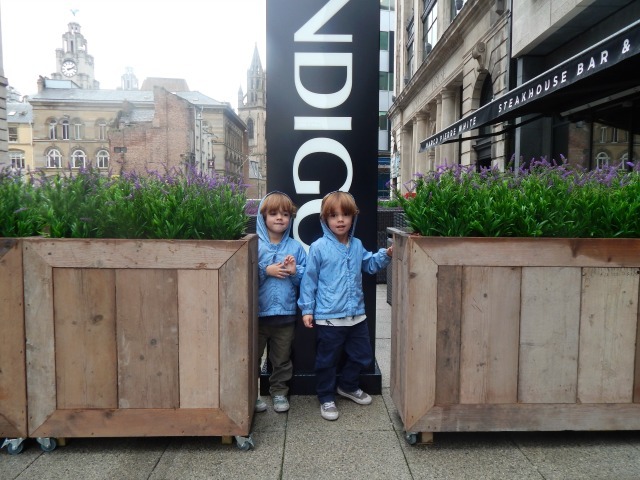 The restaurant is inside Hotel Indigo on Chapel Street which is a great part of town to go exploring in as it is full of the most beautiful buildings. Sadly it was a misty day when we were there but it doesn’t take away from the stunning views down the long streets. The Marco Pierre White Steakhouse has a beautiful interior and we were seated in a lovely big booth which was comfortable for us all. Everyone was friendly but a special mention to our waiter who was especially good with the children, he made them very welcome. 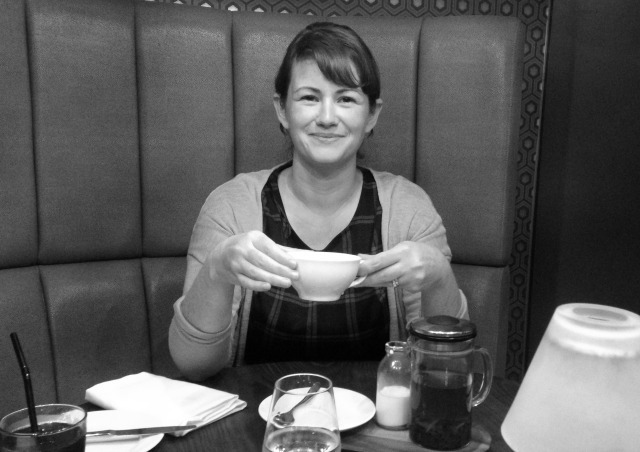 You can choose to upgrade your afternoon teas with champagne, beer and mocktails but we went traditional with an Earl Grey and I’m very glad we did, it was the perfect accompaniment. It is all very reasonably priced especially considering you get to make to most of such a nice setting. 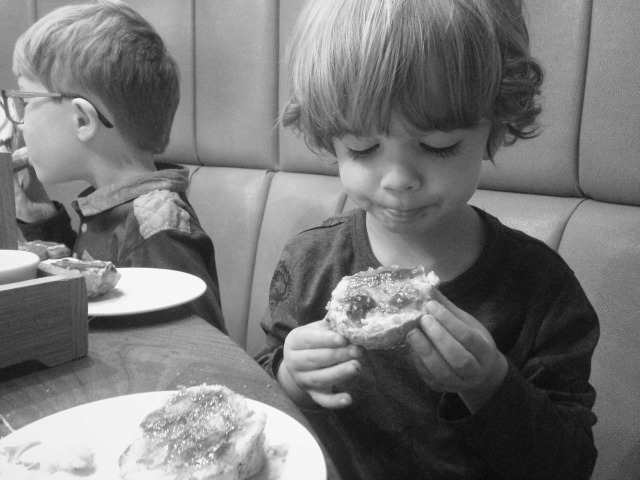 The Children’s Afternoon Tea is maybe the most ingenious way to feed children – my eldest especially will always ask for sandwiches wherever we go. 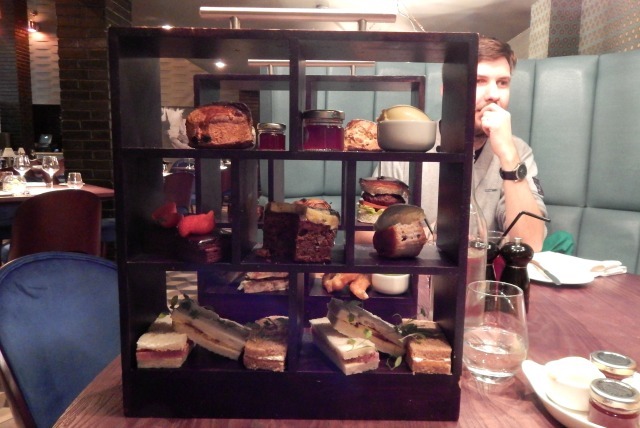 Their eyes lit up as the food arrived presented beautifully on two wooden crates and constructed in front of them. 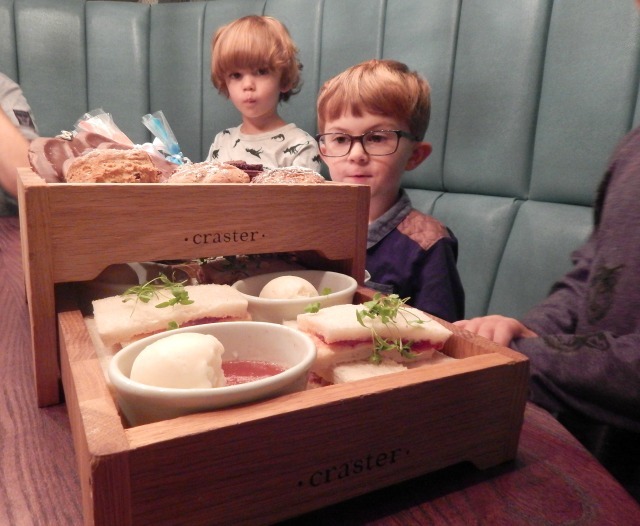 They had a range of sandwiches each (which included a jam sandwich – bonus points from Lucas) scones, brownies, jelly and ice cream. All of these went down a storm for my three but the real star of the show is the decorate your own biscuits! They had a gingerbread bat each and three icing bags to go wild with. 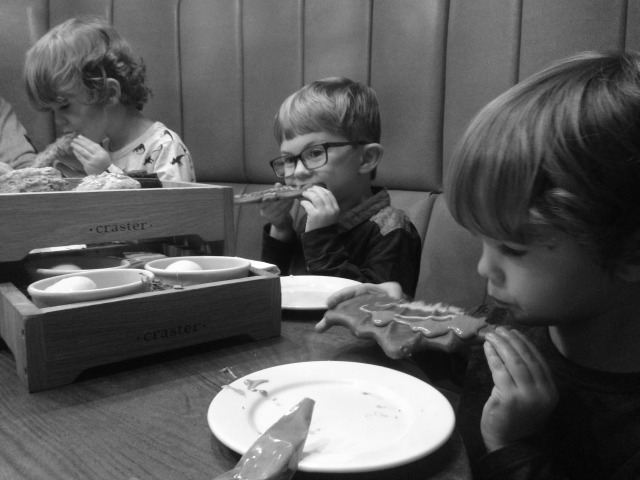 I absolutely love this touch and it was the very best bit of the meal as far as the boys were concerned. Whilst they were busy decorating and creating we got a bit of peace to enjoy our own afternoon teas. 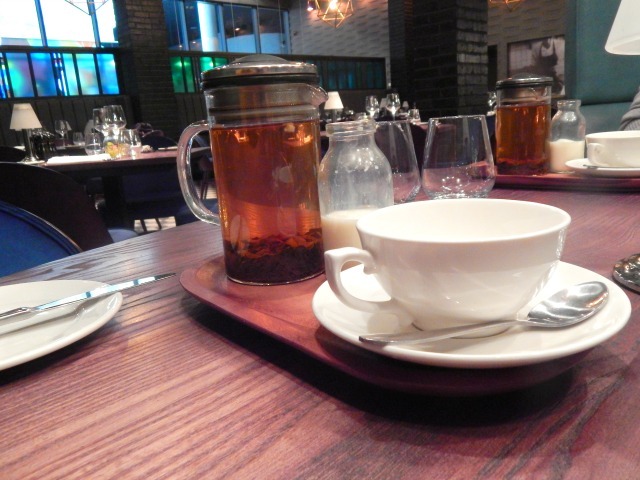 You can read exactly what is included in each afternoon tea on the Marco Pierre White website so I’ll just give you some of the highlights! 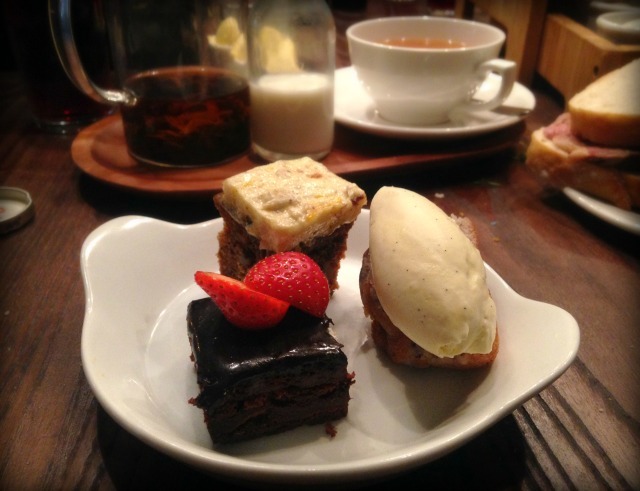 For me any afternoon tea is all about the cakes and my traditional afternoon tea came with very luxurious chocolate cake, my favourite carrot cake, a piece of muffin with cream and of course the traditional scones. The sandwiches were delicious but honestly I would go for the cakes alone. All the scones came out warm as they were freshly baked and served with clotted cream and jam – I will forever be dreaming of these scones! I don’t think I’ve ever had any as good except maybe my Nana’s homemade ones. 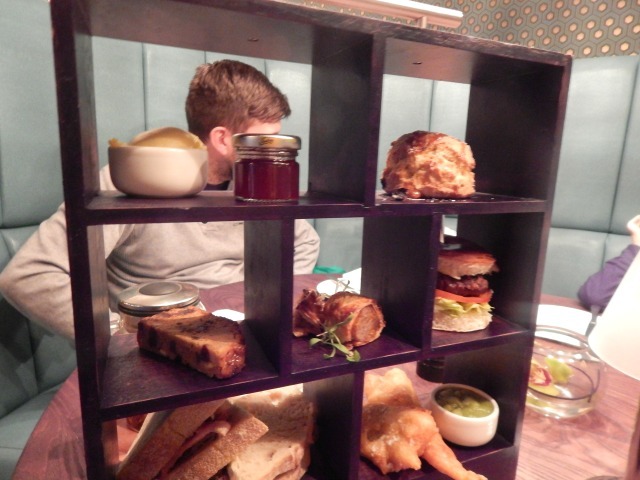 The gentleman’s tea is a little different and includes a slider burger and battered haddock goujons with mushy peas. I was assured by my husband all of it was good but the haddock goujons got a special mention from him as did the slice of boozy fruit cake. This is something we would definitely do again with the boys, they enjoyed every minute of it. 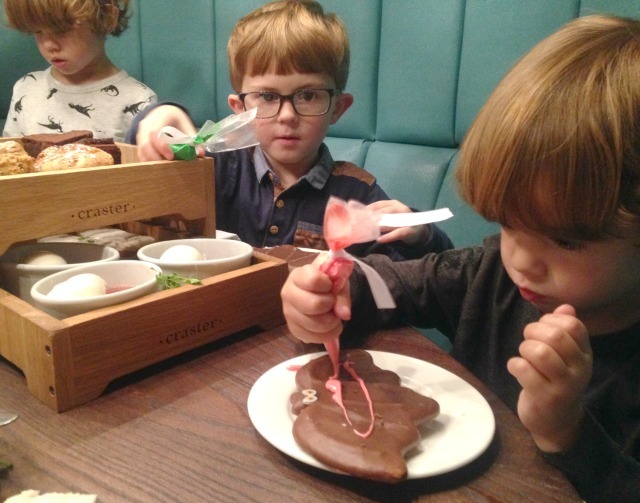 Even as an adult I still love the excitement as an afternoon tea is placed in front of you and seeing the boys stare in awe at theirs was just as good. I’m not sure they quite believed that all those treats were for them and that they were allowed to dive right in! The whole experience was fantastic, I would highly recommend it. 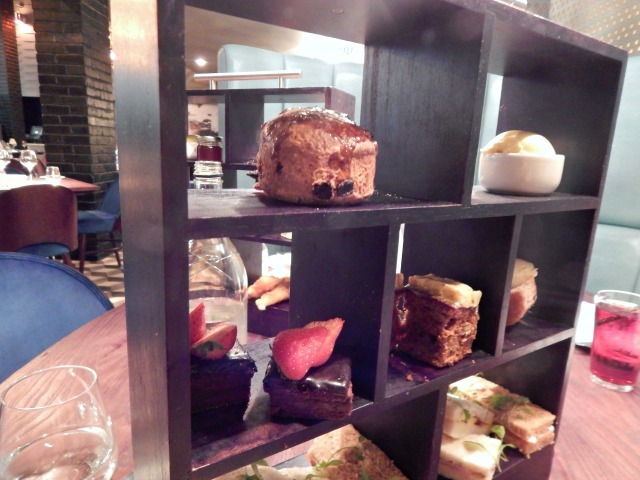 A big thank you to Marco Pierre White Restaurant for inviting us to try your afternoon tea menu. All words and thoughts are my own and we truly enjoyed it all. How adorable & delicious does this look. 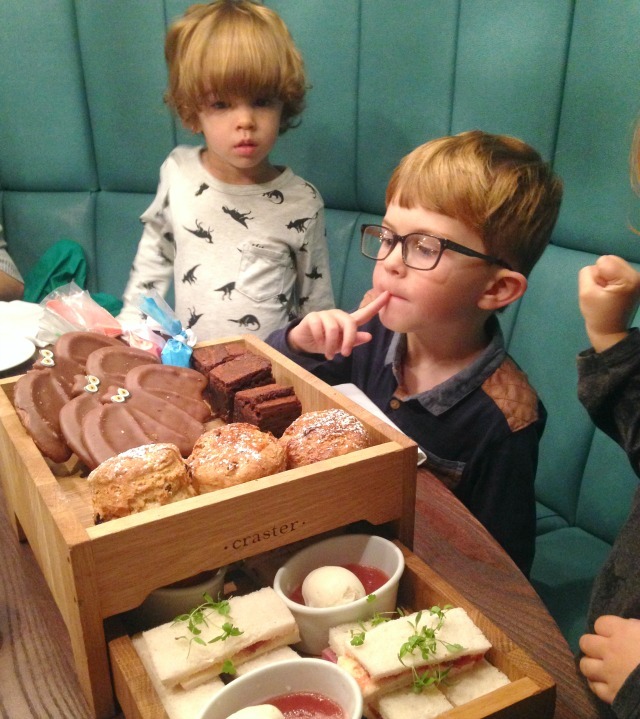 I love that they have created a child friendly afternoon tea & the adults get their own too. What a fab thing to do as a family. It’s such a good idea, the boys absolutely loved it and it was very delicious!